When Epson Introduced Utrachrome with the 7600/9600/4000 printers they introduced Light Black Ink and the issue of Bronzing became the topic the day shortly after. The reason for Bronzing relates to the affect of Carbon Black as it is diluted to form a lighter shade. Pure Carbon Black appears to be a neutral black in its full strength. When it is diluted it becomes a Brownish shade, but unlike Brown ink, it reflects a Bronze metallic-like appearance. The cure for that is to add pigment colorants to neutralize this effect. Thus, Light Black and Light-Light Black are inks that are not pure carbon. If it is properly balanced with light resistant colorants only a slight loss in stability will occur. We have another Blog on ink longevity to read. Any Carbon ink from any manufacturer that claims neutrality, warm, or cool tone is shaded with colorants. Attached to this document is a snapshot of a spectral readout of the liquid inks illustrating the difference between a Black shade with and without shading. 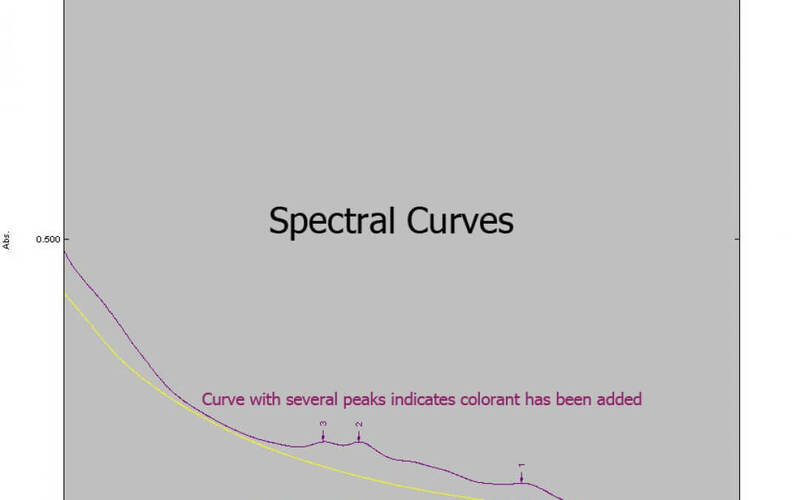 The curve with the peaks indicates where on the spectrucm those peaks exist. This information lets us know the color and the amount that is added to the Light Black ink. The key is that the added colorants neutralize the Bronzing Effect. The colorants added to the Gray will not produce a neutral tone on every paper. Gloss Papers may shift it to a slight cooler appearance while Fine Art Papers may shift it toward the warmer tones. The color profile will add the appropriate colors values to neutralize the slight shifts, while allowing you to create any variation of tones.